Coffee Chip Ice Cream has to be one of my favorite flavors. Well, in reality, coffee-flavored anything is a favorite of mine, but ice cream? I’m all in. I’m not sure why I’m as in love with coffee flavors as I am, but I guess at least I know what I love – right? Maybe it is from my Grandmother Verdie letting me sip a cup of coffee (heavy on the creamer, light on the coffee) as a little girl whenever I would spend the night with her. She’d fill most of the coffee cup with milk and then at the very end splash in a bit of decaffeinated coffee. Oh how I loved those little cups with her! It could also be from our visits to the Baskin Robbins in our area when I was growing up. Anytime we’d go to the movie theater, Mama would take us by to get a cup of ice cream as well. It was a special treat that didn’t happen all that often, but when it did, we made the most of it! I had two favorite ice cream flavors that I’d get each time we visited. I’d get one scoop of coffee and another of Jamoca Almond Fudge. It was heavenly. While this ice cream isn’t an exact copy of the ice cream of my teenage years or the cups of coffee with Grandmother, it definitely reminds me of them with every single bite. 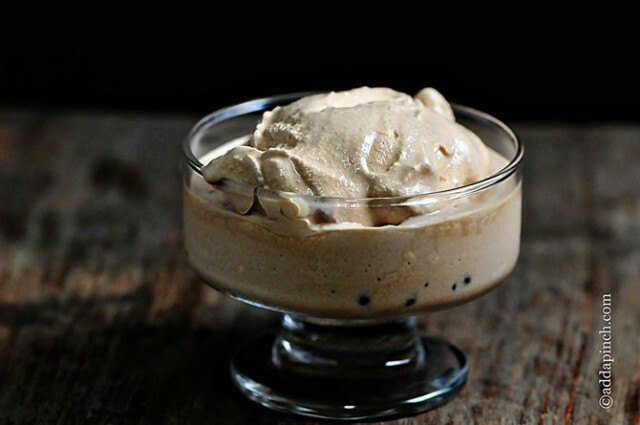 Here’s my Coffee Chip Ice Cream Recipe. If you love the flavor of coffee, you’ll love it! 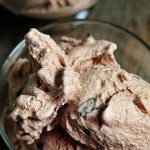 Coffee Chip Ice Cream combines the deliciousness of coffee with dark chocolate covered espresso bits or chocolate chips for the perfect coffee ice cream flavor. 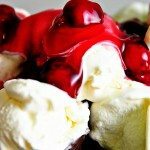 Mix together milk, whipping cream and cream cheese until well-combined. Add in espresso cocoa powder, sugar, salt and vanilla. Pour into the container of ice cream maker and make according to directions. Halfway through freezing, add in dark chocolate espresso bits or chocolate chips. Once completed in ice cream maker, serve immediately for soft serve or put in an airtight container and store in the freezer for one hour to overnight for firmer servings. Love coffee flavored anything!! This looks and sounds amazing! Sounds divine! I love that you have memories of your grandma tied in with this 🙂 Made me smile! Seriously? 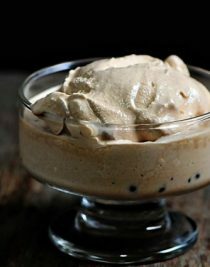 Coffee ice cream is one of my favorite things EVER!!! I’m totally in love with coffee flavours too! This ice cream looks awesome! 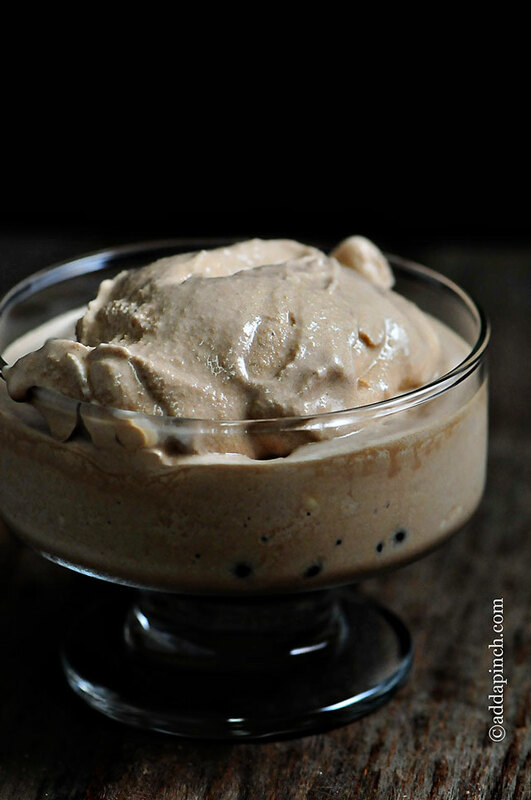 Mmm, I love coffee ice cream, especially with chocolate — looks fabulous! It’s the weirdest thing, I don’t like coffee. Whenever we go to a coffee shop ( my husband loves it) I get hot chocolate, AND I LIVE IN SEATTLE. And now for the weird part, I love coffee ice cream. Seriously it’s one of my favorites and yours looks perfect! Made this two days ago and LOVE it! Whenever I make something with cream cheese or mascarpone I can never seem to get it to completely break down and mix with the other ingredients though…I end up with tiny little pieces that are visible in the final product. Taste is never an issue but I would love to fix this problem so that whomever I share something delicious like this ice cream with isn’t seeing those little pieces. Any suggestions? Thanks! So glad you love it. It truly is one of my very favorites. I could eat it every single day! Here’s what I’d do. I’d make sure my cream cheese is overly softened and then cream it to make sure it is completely creamy before adding the milks to it. You could do that with a mixer to make sure it works perfectly. 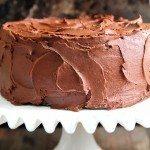 I use a full-fat cream cheese in this recipe, so if you are using a reduced fat that could be causing some of the issue — maybe? If it still gives you trouble, then I would heat my milks over low heat along with the cream cheese, stirring constantly until it was dissolved. Then, I’d add the sugar and other ingredients, allow it to reach room temperature, pour into an airtight container and chill overnight (or for at least a few hours to make sure completely cold) for making the next day. My kids loved this! 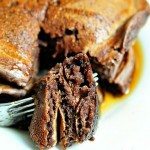 I used low fat cream cheese and mixed the ice cream base in a Vita Mix blender; it worked great! Thanks for a terrific recipe.